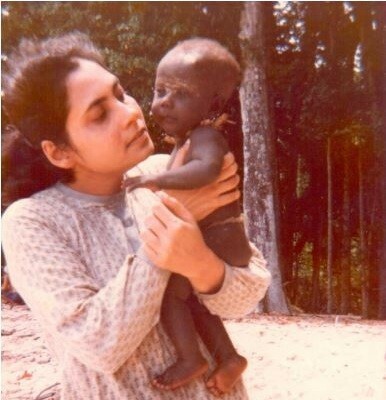 A young Indian anthropologist Madhumala Chattopadhyay visited the Sentinelese in January 1991 and missed an arrow attack narrowly though she was able to establish a friendly contact with them. As the killing of an American tourist John Allen Chau by the ancient North Sentinel islanders flashed all over the world, media and the local police were desperate to know more about the tribe. But on record, there is only one anthropologist who had made a contact with the tribe and returned home safely, escaping an arrow attack. Her name is Madhumala Chattopadhyay, who landed on the North Andaman Sentinel island on Jan 4, 1991 as an anthropology researcher with the Anthropological Survey of India, studying primitive tribes of the Andaman and Nicobar Islands. But she could not pursue her study of the hostile Sentinelese tribe. Isolated for over 60,000 years, the first bid to contact the tribe was made in 1880 by a British explorer Maurice Portman, who captured an elderly couple with four children and brought them to Port Blair in Andamans. As the elderly couple died in captivity, the British officials apparently relented and released the four children back into the Sentinel Islands with some gifts. A century later, attempts were made by the Anthropological Survey of India and the National Geographic in the early 1970s but turned futile in the midst of fierce attacks with arrows. It was on January 4, 1991 that the local administration's ship MV Tarmugli anchored off Allen point on the south west part of the North Sentinel Island where the isolated tribe lives and this time there was the first woman anthropology researcher in the crew and she was Madhumala. The ancient tribe whose antiquity was traced to the Palaeolithic age, making them the first inhabitants of India, remained hostile to outside world as ever. On the first day of their visit to the island, the woman member offered them coconuts as gifts and they were accepted enthusiastically by some men, perhaps, fearing no harm from a woman. On the second day, a man accepted the coconut directly from the hands of the young Indian woman anthropologist who was also waist deep on the coral reefs of the beach like them. A major triumph for an anthropologist but soon, an arrow was aimed at her by another man, who was pushed aside by a woman member of the tribe at the last minute, apparently to save another woman -- Madhumala. Escaping from the arrow attack narrowly, the team immediately staged a retreat. Undaunted, Madhumala returned the next month on February 21 and this time she had reportedly been welcomed enthusiastically by the Sentinelese who climbed up on to the boat to receive the coconuts, and thankfully no arrow was aimed at her. However, the Indian government banned any more expeditions citing the possibility of the ancient tribe contacting epidemics due to frequent visits by outsiders. Meanwhile, Madhumala focused on another Andaman tribe, the Jarawas, with whose women she was able establish contact. 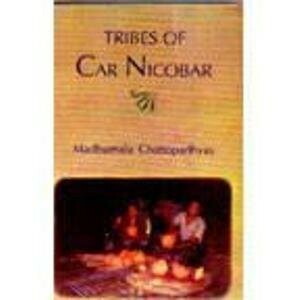 Her research was published later under the title, "Tribes of Car Nicobar." Speaking recently to the team of Probashionline.com, Madhumala said:"Never ever in my six years of doing research alone with the tribes of Andamans did any man ever misbehave with me. The tribes might be primitive in their technological achievements but socially they are far ahead of us".